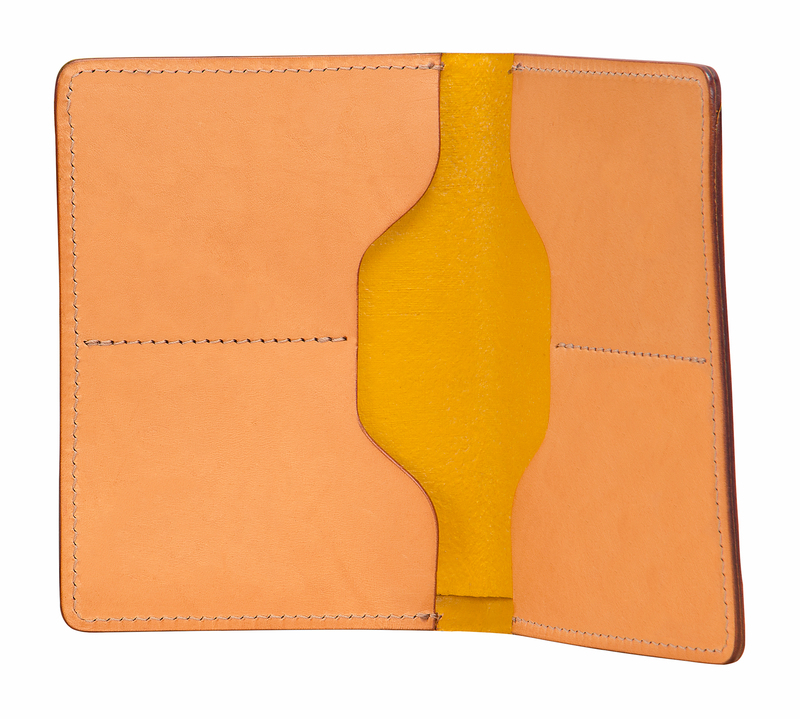 Room for 16 credit cards in 4 pockets that naturally form to the height of the cards. There is an oversized currency compartment on the back panel. 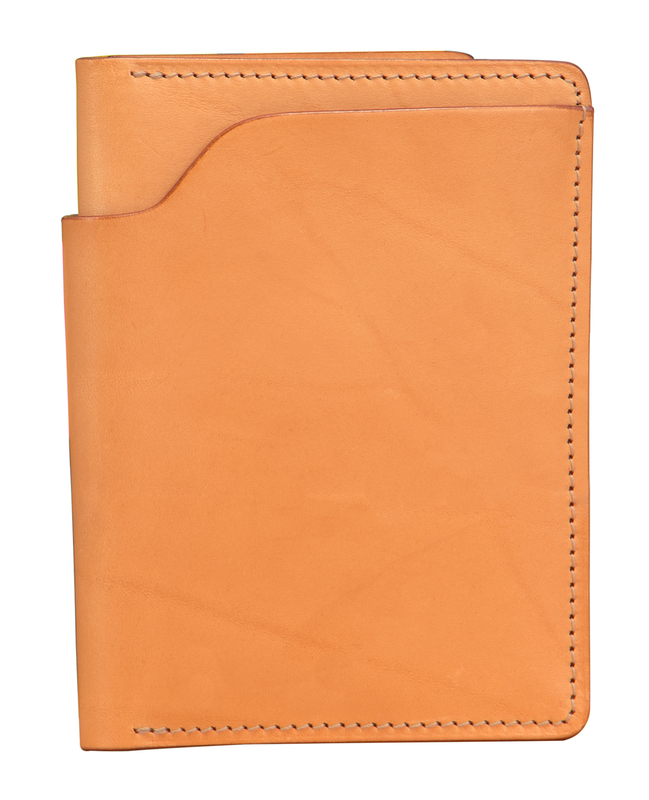 A variant of the M Wallet features a passport pocket opposite the two credit card pockets. (The M wallet is named after our friend Marcus who purchased the first one we made in 1997).